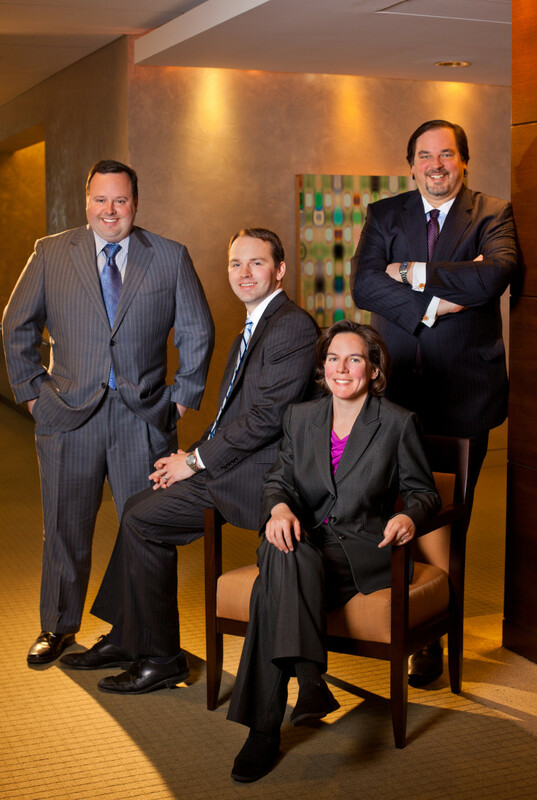 May 14, 2012 | Marcus, Ellen and Jason M. Knott and Andrew P. Torrez and William A. Schreiner, Jr.
Today we are launching Suits by Suits, a legal blog about disputes between companies and their executives. The four of us are colleagues and lawyers who sometimes wear suits and who sometimes represent clients who sometimes wear suits. We also share an interest in how conflicts between companies and high-ranking employees can play out in the legal arena. So, for example, when we see a headline about Desperate Housewives star Nicollette Sheridan’s lawsuit against ABC for wrongful termination – which, by the way, recently ended in a mistrial but has been set for a new trial to begin in September – we read the story. Then we dig deeper because, to us, this case is not just about a Hollywood celebrity, it is a suit by suit. We want to know whether the jury was persuaded by Ms. Sheridan’s theory that her character was killed off and she was written off the show because she complained about being assaulted on the set by the show’s creator Marc Cherry. We want to know whether the judge accepted Ms. Sheridan’s legal theory that being fired for complaining about an assault violates California public policy that employees have a right to a workplace free of violence and threats of violence. We want to know whether ABC was able to prove that its plans to kill off Ms. Sheridan’s character were hatched long before Ms. Sheridan complained about Mr. Cherry. We want to know whether there are any really devastating e-mails – to either side – and whether the jury is going to get to see them, or the judge will find them inadmissible. We want to know whether any D&O insurance is available to pay Mr. Cherry’s legal fees in the case. Okay, maybe Bill is the only one who wants to know that. Are we the only ones?